Welcome to the information page for The Handsworth Park 10k Fun Run, formerly known as The Pete Hayes Handsworth 10K fun run. You can find results and photos from all previous runs here. The provisional date for 2019 is Sunday 15th September, so save the date. More details will be posted as soon as we have permission confirmed. This is a community event based in Handsworth in Birmingham, raising money for the British Heart Foundation. We organised and staged our first 10K run in September 2014 and we have repeated this annually ever since. Over the run events so far, our collective efforts have raised an incredible £43,997 for the charity. Using this page you will be able to keep informed of news about our next event in 2019, whether you wish to participate, spectate or assist. Using the menus above you will also find our archive from the 10k runs in 2014, 2015, 2016, 2017 and 2018. We also have a section about our running group called the Boathouse Runners, who meet in Handsworth Park on Sundays. Our main aims in creating this event are to bring the local community together in order to raise awareness of how and why to keep fit, to engage with and create events and opportunities in the area surrounding Handsworth Park. 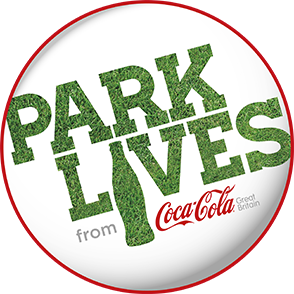 We aim to work with our partners including the British Heart Foundation and Active Parks (Parklives) to promote a healthy lifestyle and to raise money to help fund research and treatment for Heart Disease in memory of Pete Hayes. We aim to promote running as a good way to keep fit and encourage beginners to become confident runners. In doing so we would like to present Handsworth Park and other public parks as the great venues they are to keep people active and healthy. Our main aim is to create an enjoyable day together in Handsworth Park. We welcome you all to join us in whatever capacity you can or wish to. You can enter the race, share our event with your friends and community, donate to the BHF, help us by volunteering on the day and join us to support the runners taking part in the event. The 2014 event realised this aim and we have managed to build on that in subsequent years. Thank you to everyone who contributed to our successful run events. If there is anything you need to know straight away, please email peteyhworth10k@outlook.com.